VELG RIKTIG STØRRELSE PÅ DIN SIESTA HUNDE SENG. Hvis du har tenkt å gi din firbente venn en ny Ferplast hundeseng, og du ikke har anledning å prøve sengen først kommer du langt med målbånd og vår enkle guide. Plastsengene fra Siesta er ekstremt populære på grunn av enkelt renhold og slitestyrke, Siesta er lett å rengjøre og derfor hygienisk og holdbart siden det er laget av termoplastisk harpiks. Vi har den i 6 forskjellige størrelser, og dette gjør at den passer for både hunder og katter i forskjellige størrelser. But let’s get back to Siesta! 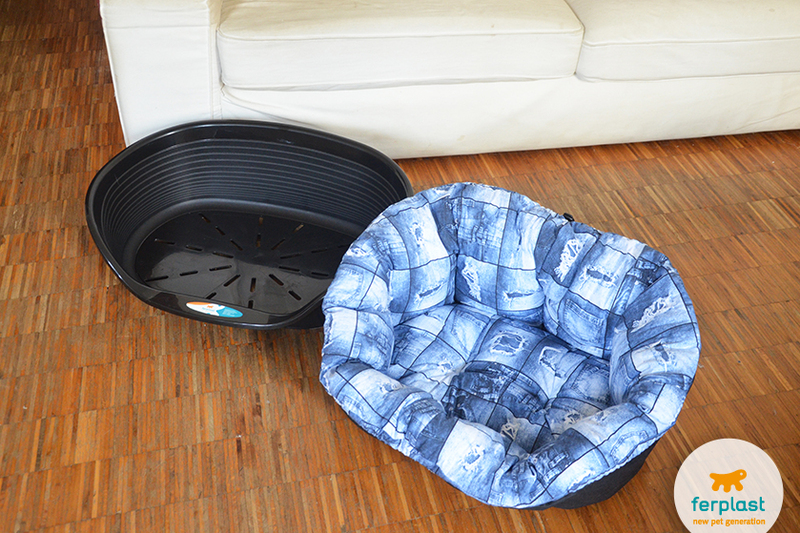 It is a dog bed we always recommend for both its design and its rounded shape: the high sides and lowered front edge equipped with a practical chin rest is extremely comfortable for out pet. And how do you buy the right sized bed? When you decide to buy one, it is best to consider 3 variables, meaning length (A), depth (B) and height (H), to figure out how much space the bed will take up in your home. 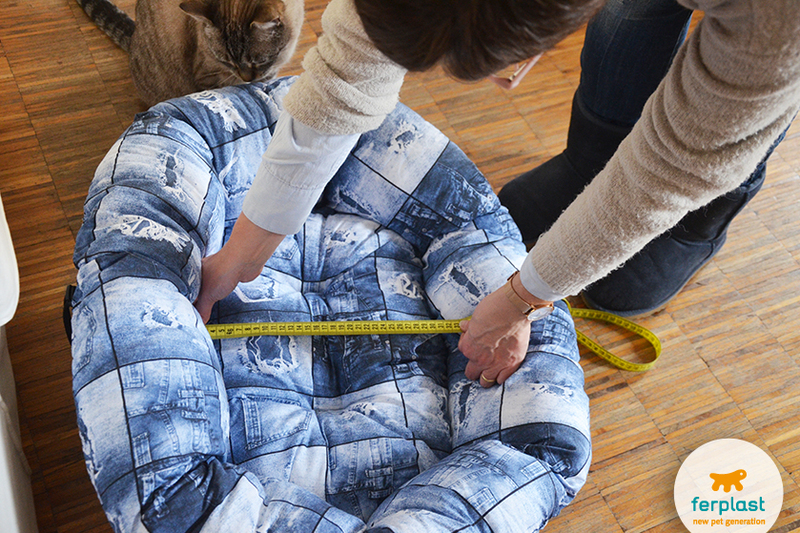 The INTERNAL dimensions, length (A1) and depth (B1), let you understand the right size for your dog. We have created a practical guide based on your favourite model to help you choose the right size. 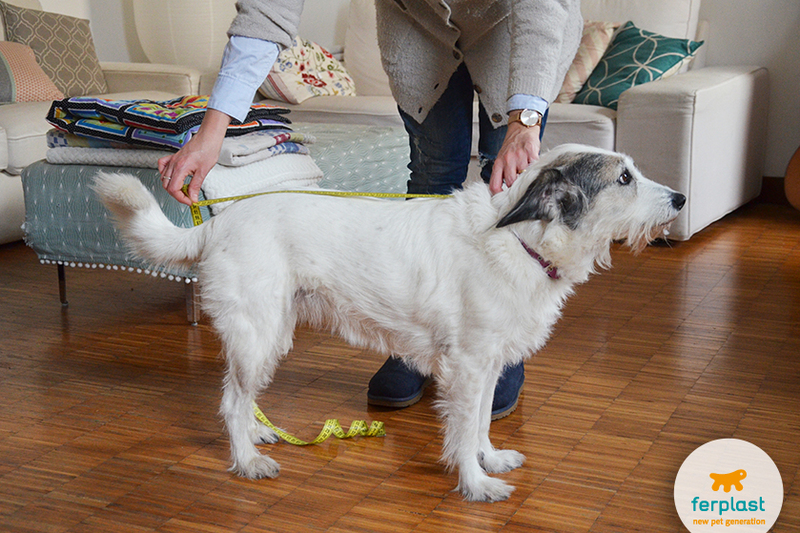 Use a tape measure to measure your dog’s back, from the base of the neck to the beginning of the tail. 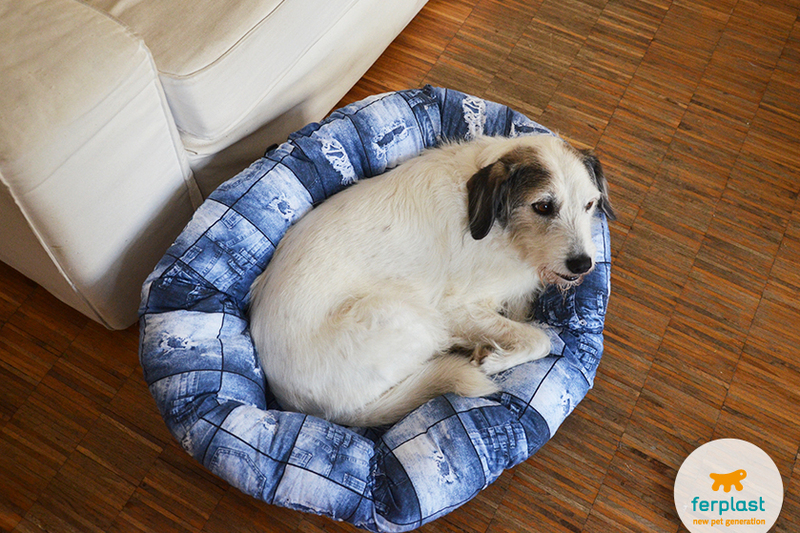 To purchase the right sized Siesta Deluxe, add 20% to the length of your dog’s back (see example below) and compare this with the internal bed length. 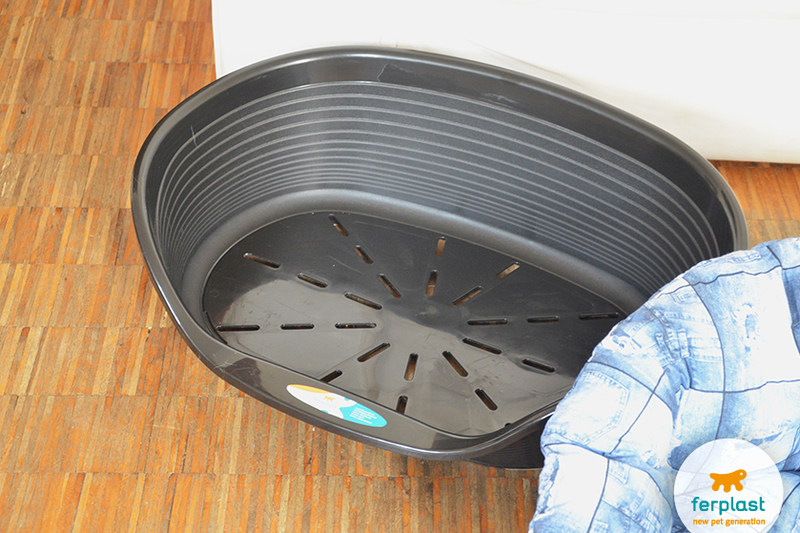 For example, our dog Daria’s back is 50 cm long: adding 20% totals 50 x 1.2 = 60 cm, thus the Siesta Deluxe 6 could be best for her since the internal length is 62 cm. 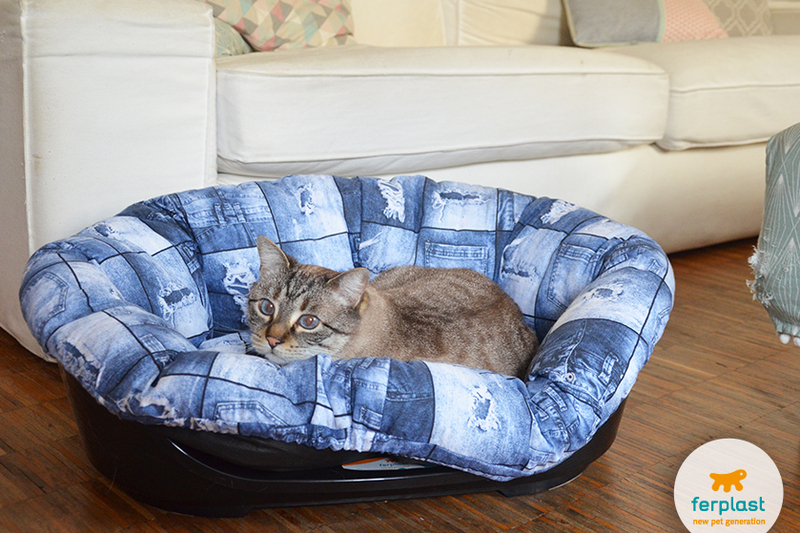 You can add one of the Relax line cushions to complete the Siesta Deluxe bed. These, made in many colourful prints, are oval shaped with soft padding and are available made of cotton or with one cotton side and one plush side. 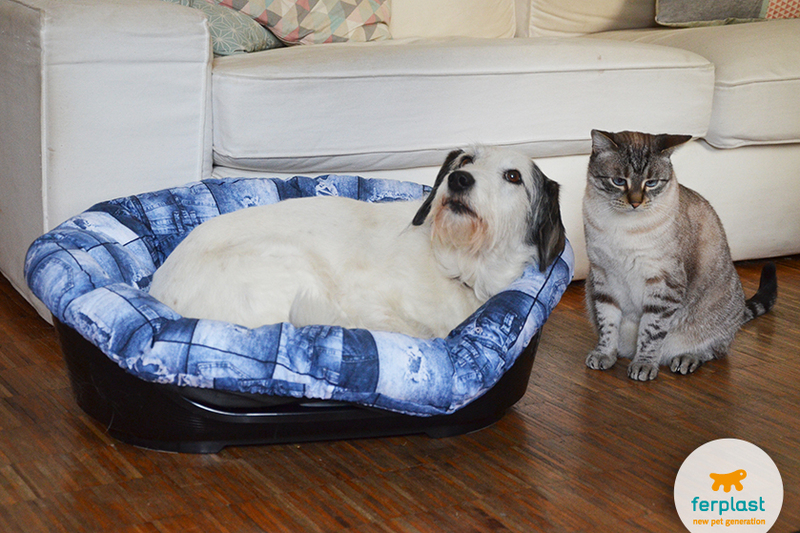 Sofà and Sofà Prestige are both a Siesta Deluxe plastic bed already complete with a removable padded cotton lining. 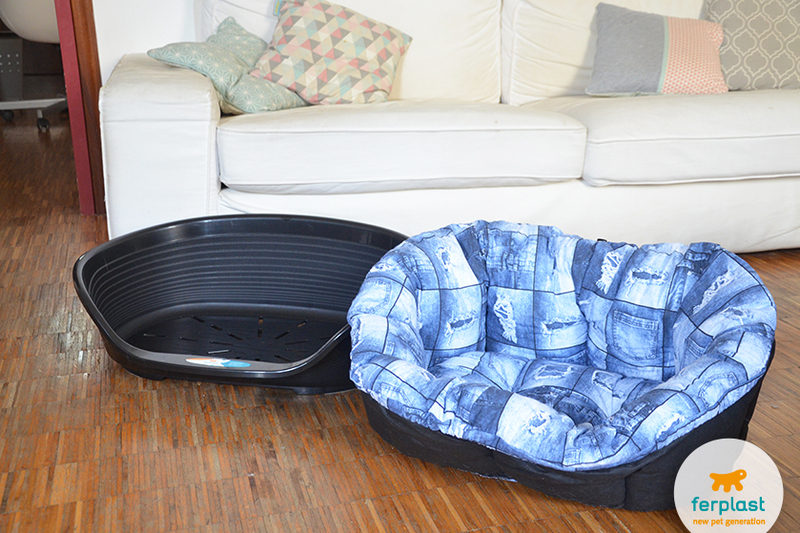 In these cases, in order to find the right size of bed for your dog you need to consider the internal dimensions given the padding that you can find in the table below (A1 x B1). Taking again as example our dog Daria (whose back is 50cm x 1,2= 60 cm), we must choose a different size compared to the Siesta Deluxe bed itself, because we have to take into account the padding. Hence, the suitable sizes will be Sofà 8 (internal dimensions given the padding: 56 x 35 cm) if you want a tighter bed or Sofà 10 (66 x 42 cm) if you prefer a more spacious one. 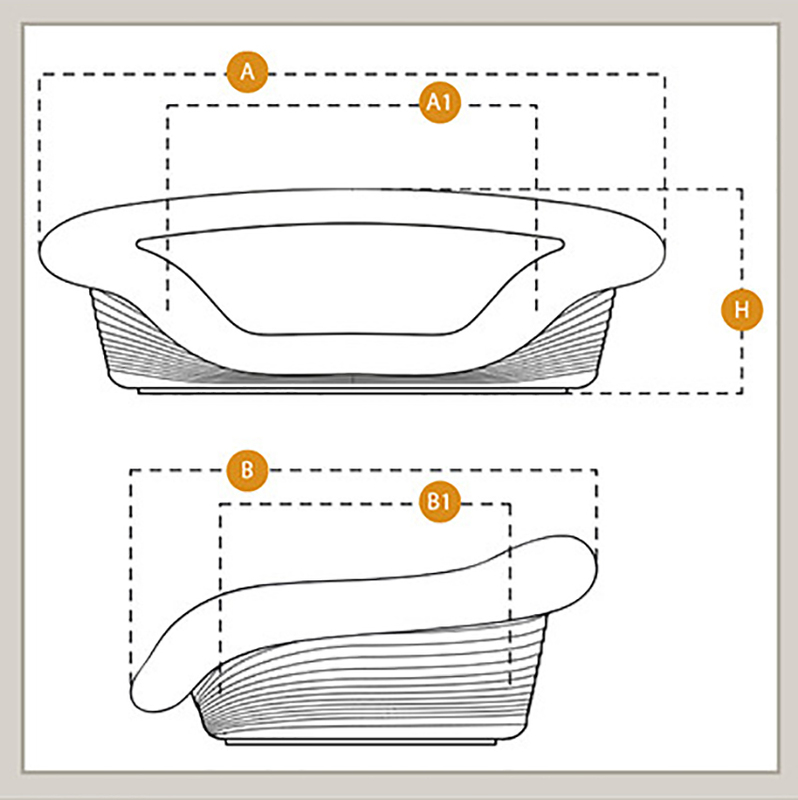 Since padding occupies a certain amount of space, the internal measurements to be considered to find the right size are the same as those for Sofà and Sofà Prestige (point c). We hope this simple and well-organised guide will help you purchase your next Ferplast Siesta Deluxe bed.